I’m trying to make more wearable clothes, I really am. It just depends on the definition of wearable. And what could be more sensible and practical than a shirt dress? Well this particular shirt dress all but has a train, so I don’t suppose it really counts as sensible, but I love it anyway. The pattern is McCalls 7727 which comes with two views, a tunic and a dress, both with a sash and a dramatic high-low hem. There is a sleeveless option or full length sleeves, so it’s easy to produce four different looks. It’s a great pattern but my goodness it’s a fabric hog. I made the dress length version with long sleeves so the worst case. I skipped the sash and ignored the pattern layout, cutting some of the pieces out upside down, and I still used five metres of wide fabric. It’s ivory stretch cotton poplin from Tissu Fabrics, and it’s great quality for a pretty low price. Cutting this out was very hard work. If you make a lot of McCalls/Butterick/Vogue you’ve probably noticed the special instructions they always include for when there are pieces cut in pairs that need the full fabric width. The cutting layout has a big asterisk which means you fold the fabric in half across the grain, cut down that fold, and then turn the top bit around 180 degrees. Then the nap on both pieces runs the same way, and you can cut the pairs of wide pattern pieces out of that. It is really difficult to realign the two layers once one is turned over and on this fabric, which has no nap that I can detect, it absolutely wasn’t worth the effort. Next time I’d just fold it crosswise. I meant to look up all the best ways to sew shirt collars and plackets and all those fiddly shirt bits, because we all know pattern instructions don’t always give the easiest method, but in the end I just switched my brain off and followed the pattern. Not only did their methods work beautifully, they were easy too. One exception: I didn’t slip stitch anything down by hand but stitched in the ditch from the right side. 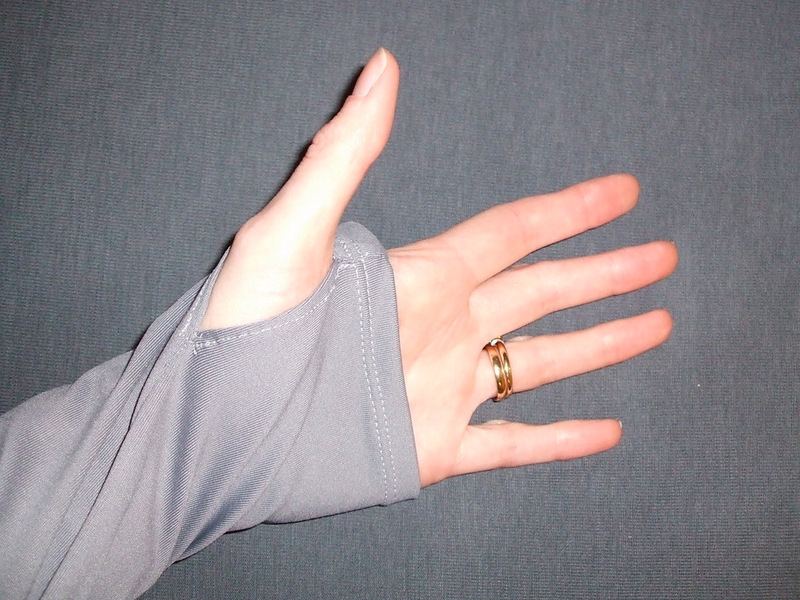 The sleeves can be worn rolled up – the pattern includes a tab and button to do that. I wish I’d french seamed the sleeve seams because the overlocked seam allowances show when the sleeves are rolled up. 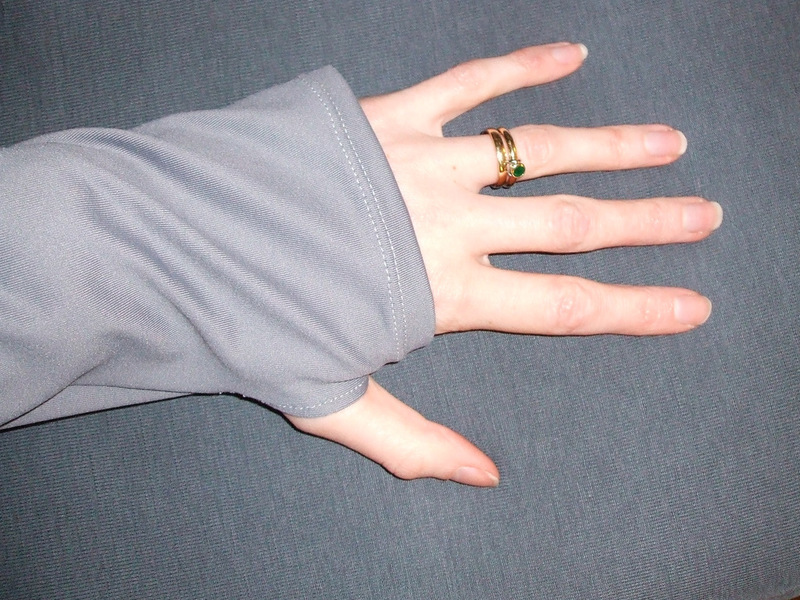 Speaking of the sleeves, these went in with no ease stitching and very little pinning. There’s lots of mobility in the arms too. I was originally going for a sort of Carolina Herrera look with this: a wide floor sweeping skirt with pockets, a crisp white shirt on the top half, and a very tight, defined waist between the two. But floor length skirts are definitely not practical and I think the high-low hem is a nice compromise which keeps the drama without sacrificing the ability to run up stairs. Not so sure how it’ll cope with a crowded bus though. I added the pockets; the pattern doesn’t have them. It also doesn’t have much in the way of a waist, relying on the sash or a belt to pull it in. I thought having a white sash would make the whole thing look bridal, hence the belt. I don’t think I really achieved my vision – the skirt should be in a contrasting colour for starters – but I’ll wear this and that’s the main thing. Pictures all by my husband. We did these in the early evening and the light has worked out nicely. What is it about cameras not reproducing reality? This weekend I didn’t do the things I was supposed to be doing and instead whipped up McCall’s 5975. And whipped up is right – this is a seriously quick and easy pattern to make. It’s out of print, which is a shame, because despite the fact it’s not turned out the way I hoped it would I think this is a really good pattern. When I got it originally I was looking for something to replace a much-loved red wool cowl-necked dress that was eaten by moths. But the new dress, sadly, is not it. I think it looks OK in the photos, but in real life I’m not in love with it. It is a bit better without the belt. I’m not sure what isn’t working about it. Does it need shorter sleeves? Shorter hem? A different belt? Different colour? Or maybe I just need put lipstick on in the mornings rather than only for photos. I’m not giving up on this pattern yet. It is so close to what I’m looking for that I think the right tweak will produce the perfect dress. If only I knew what it was. This is McCall’s 5799 which is one of my favourite patterns. It’s easy – only two pattern pieces – and very adaptable. I think this is the 4th time I’ve made it. On this one I added inseam pockets using this tutorial. The fabric is white cotton drill with what looks like gold paint on it, although I noticed it was described as ‘gold foil print’ on MacCulloch and Wallis’s online fabric store. It was very difficult to photograph in the bright sunlight we’ve got at the moment. This indoor shot is about the best one I’ve got. One very nice thing about this project is that other than the fashion fabric everything I used was already in my stash – the lining and zip were originally bought for the pleated dress but didn’t get used because I found ones that were a better match. I think this is the first time that’s happened to me! As I said last week, at the age of nine or so I was convinced that one day I’d be on Doctor Who and I’d wear something like this. However I also thought it would look good with trainers. Definitely changed my mind on that, although I’m now not quite sure what would look good with the dress (hence the bare feet in the pictures). Whatever shoes I go with will clearly have to be flat for running away from Daleks. Or possibly Dalek-shaped compost bins. Not quite as menacing.